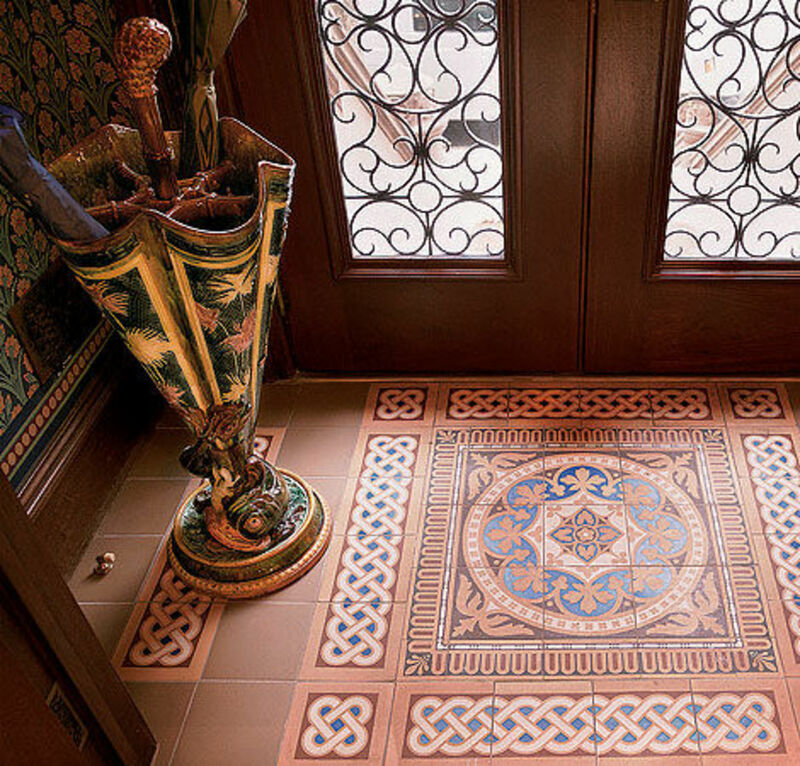 Encaustic floor tile adorns a vestibule in a Victorian-era home. 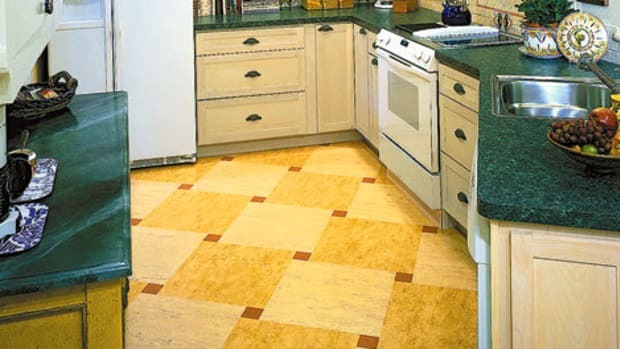 Manufactured ceramic tile is available and appropriate in hexagons, octagons, oblongs, diamonds, and rhomboids, with a limitless range of patterns. Mesh-mounted basketweave and herringbone tiles update early 20th century patterns in a host of colors. Mosaics, too, can be laid for different field effects and to create borders. Geometric and encaustic tiles, favorites during Britain’s Aesthetic and early Arts & Crafts movements, are durable floor tiles with a matte finish; variously shaped and colored, they can be designed into kaleidoscopic patterns. The traditional method of building up the patterns by pouring different-color slips into molds meant that colors don’t fade as the pattern wears down. 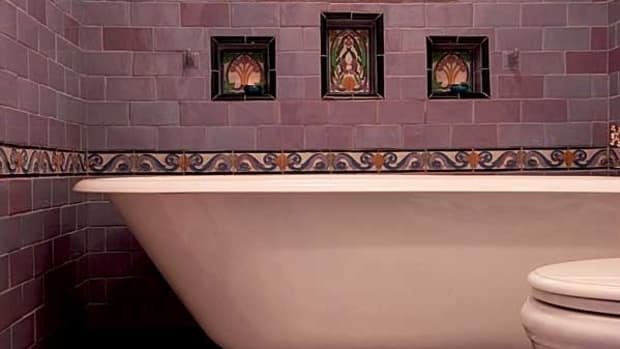 Such traditional tiles (with straight edges meant to be laid with very narrow grout lines) are still available, as are “modern” encaustics that cost less. Fireplace with original Moravian tile by Henry Chapman Mercer. 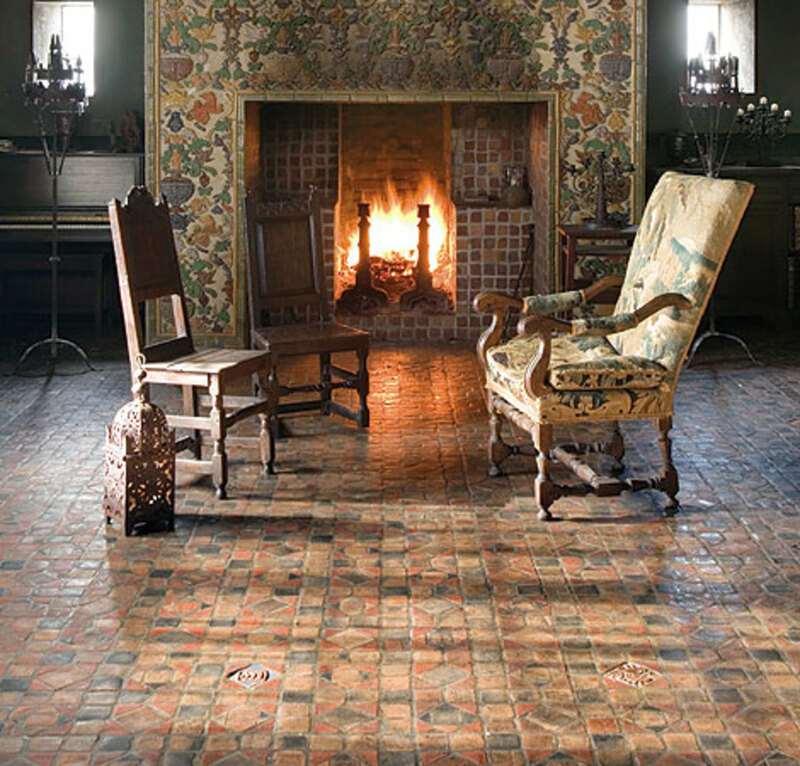 The Arts & Crafts period saw an explosion of tile making, on the East Coast and West. Many companies today have revived the craft. And some of the originals are still in business: Henry Mercer’s Moravian Tileworks in Doylestown, Penn., now operated as a non-profit, still turns out the unique, embossed and decorated tiles that defined a style by themselves. Stone has been an enduring medium for floors since, well, the Stone Age. Today’s floors are more likely to be beautifully cut slate and limestone or granite with some sort of manmade relief—evidence of clefts and pick marks, for example. 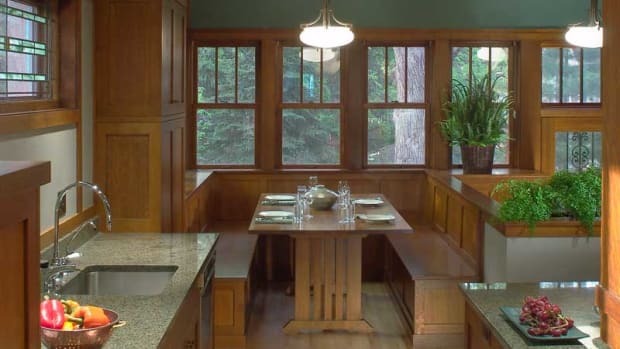 Concrete floors were used during the later Arts & Crafts period, by Frank Lloyd Wright and others. Today concrete, as itself or mimicking stone or tile, is a popular alternative. Do consider stone and concrete flooring as an appropriate natural material for back halls and mudrooms, foyers, sunrooms, and even kitchens and family rooms.